Has the Manitoba Provincial Nominee Program ended? - Gateway to Canada | Canada Immigration Consultancy! Has the Manitoba Provincial Nominee Program ended? There are rumors circuating around that the Manitoba Provincial Nominee Program (MPNP) will be ending this year. I often receive this kind of question about MPNP. No. The MPNP does not end. There is no deadline date to submit applications. The province has announced that it will increase the minimum wage by 50 cents an hour to $9.50 on October 1. The Manitoba Labour Federation was advocating for an increase of 75 cents an hour effective April 1, while business leaders were advocating for either an increase of no more than 30 cents or no increase at all. Manitoba created almost 7,000 jobs in April, increasing from 612,200 employed to 619,000 over the month. The unemployment rate for Manitoba in April was 4.9%, up from the 4.6% unemployment rate for April 2009, while the labour force participation rate increased from 68.9% to 69.8% in the same time period. In 2009, over 12,000 immigrants entered Manitoba, the largest annual immigration total since 1913. This increase from the 3,725 immigrants to Manitoba in 1999 means that immigration levels have tripled in the last decade. This increase has been attributed to the provincial nominee program which was introduced in 1998. The province has a target of increasing immigration to 20,000 immigrants per year 2017. I've been trying to search for official announcements regarding the planned ending of MPNP but without luck. What I do know is that they are still processing applications. In fact, here's a MPNP applicant I have assisted who were issued visa just recently. 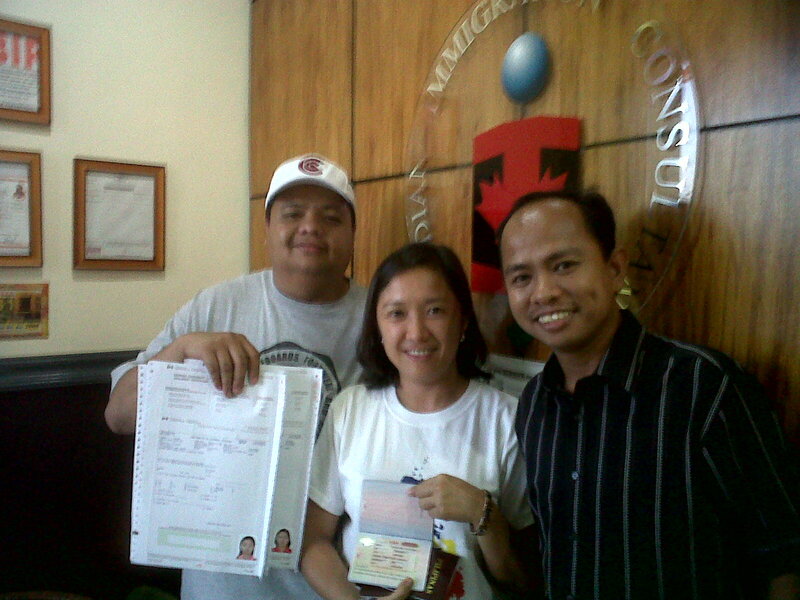 Mr and Mrs Vergara, together with their children will be moving to Canada before the school year begins this year. They were sponsored by Mr. Vergara's former colleague and kumpare. To qualify under MPNP General Stream, you need two distant relatives or friends who are ready and willing to support you. In their case, the wife of Mr. Vergara's kumpare served as the 2nd sponsor. Mr. and Mrs Vergara are both doing great on their chosen fields. But they still decided to immigrate to Canada because of one thing - they want to prepare a better future for their children. It is a major decision and takes a lot of courage to get out of your comfort zone. But they did it just the same and it's for a noble intention. Hats off to the Vergara couples! Manitoba Provincial Nominee Program is still open. File your application now!